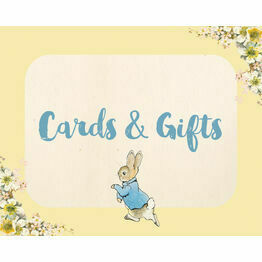 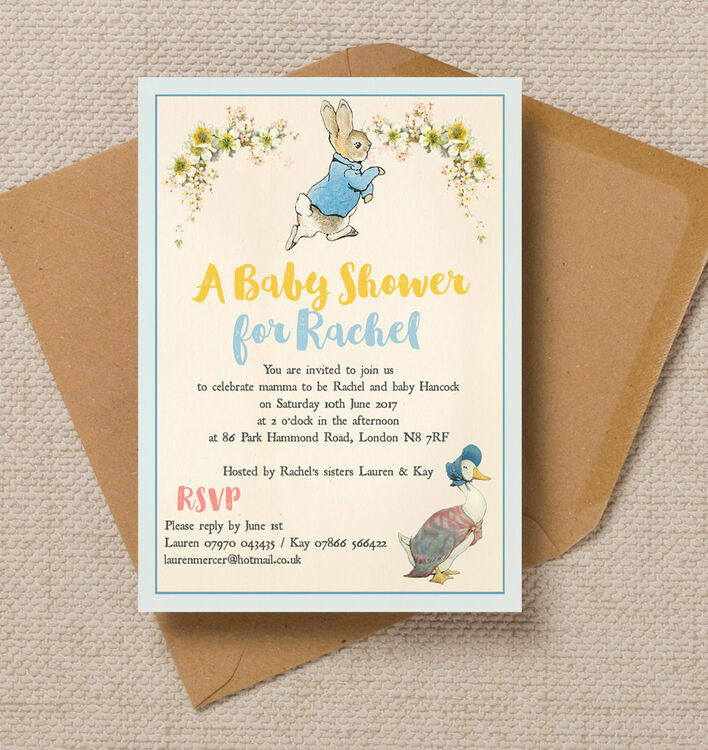 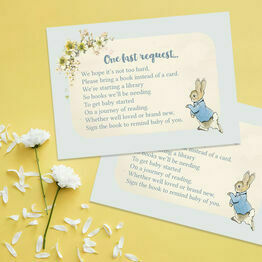 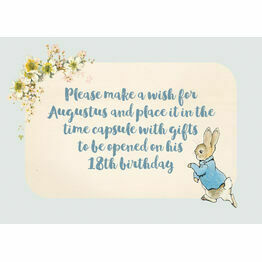 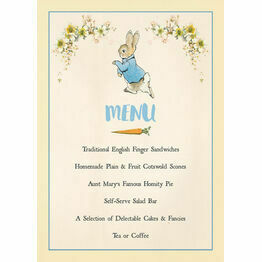 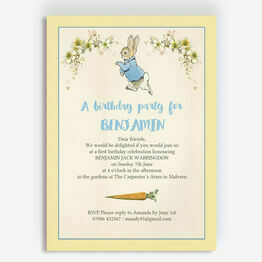 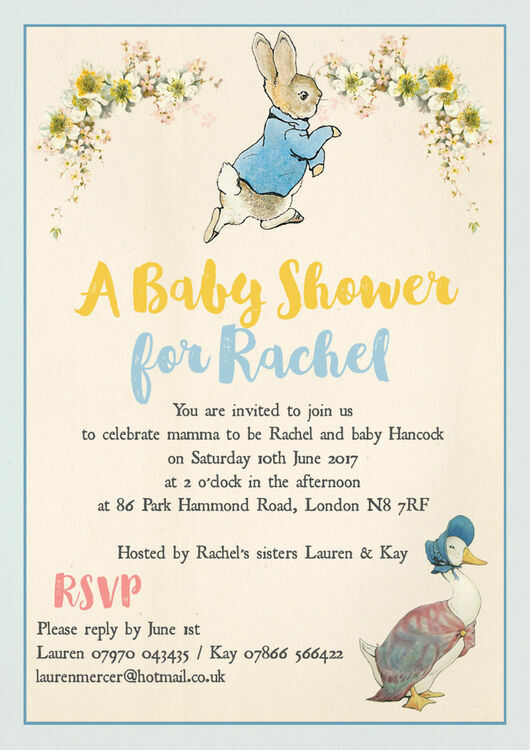 A lovely and unique way of inviting guests to a baby shower, this invitation features two of Beatrix Potter's most loved characters - Peter Rabbit and Jemima Puddle Duck. 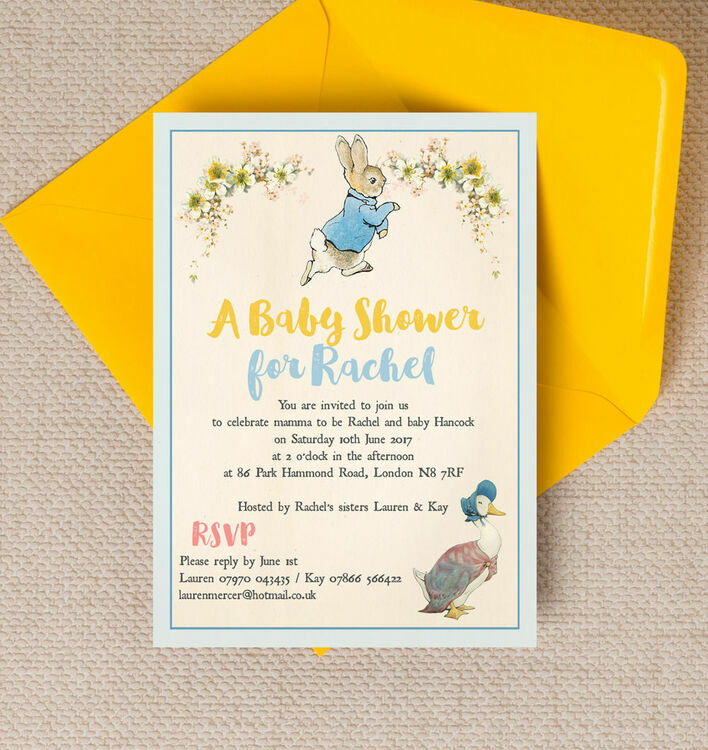 Whether you're sending them out yourself or surprising a friend or family member, this invite is sure to get people excited for the party and new baby! 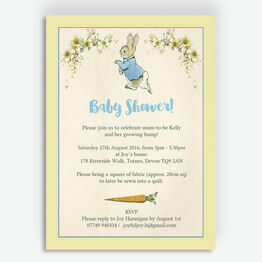 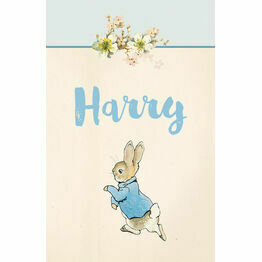 This design is gender neutral and perfect for both baby boys and girls. 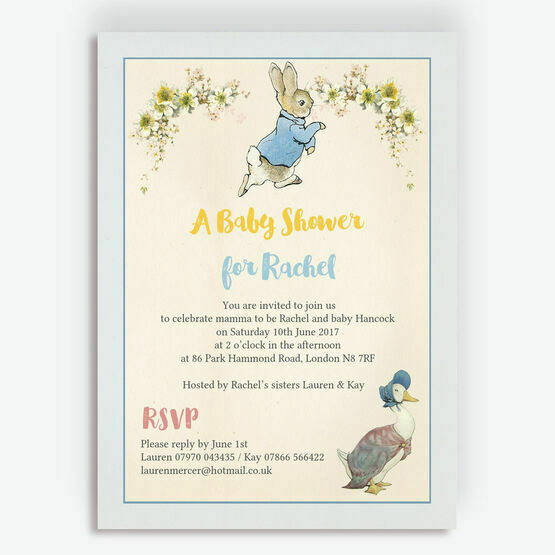 Select Printable PDF for instant personalised PDF, or for a luxury and professional finish, why not let us take care of the printing on your behalf and order printed & delivered? 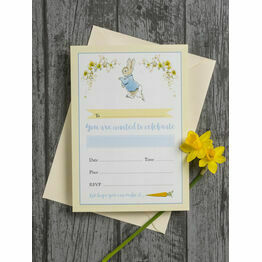 Great product and a lovely personal note in with the order.